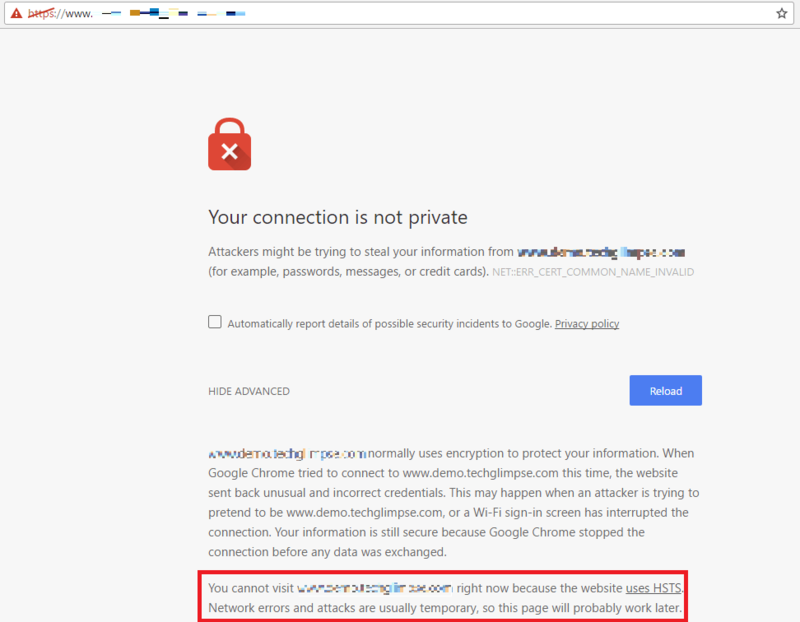 How to delete HSTS Cache from Chrome browser? It took a while for me to understand the reason for this error. Before I speak about that, have a look at the screen shot of the error. The server sends a HTTP header: Strict-Transport-Security (HSTS) along with the content to the user’s web browser. The browser displays the content and stores HSTS enforced information in its cache and it will be used for all future visits. 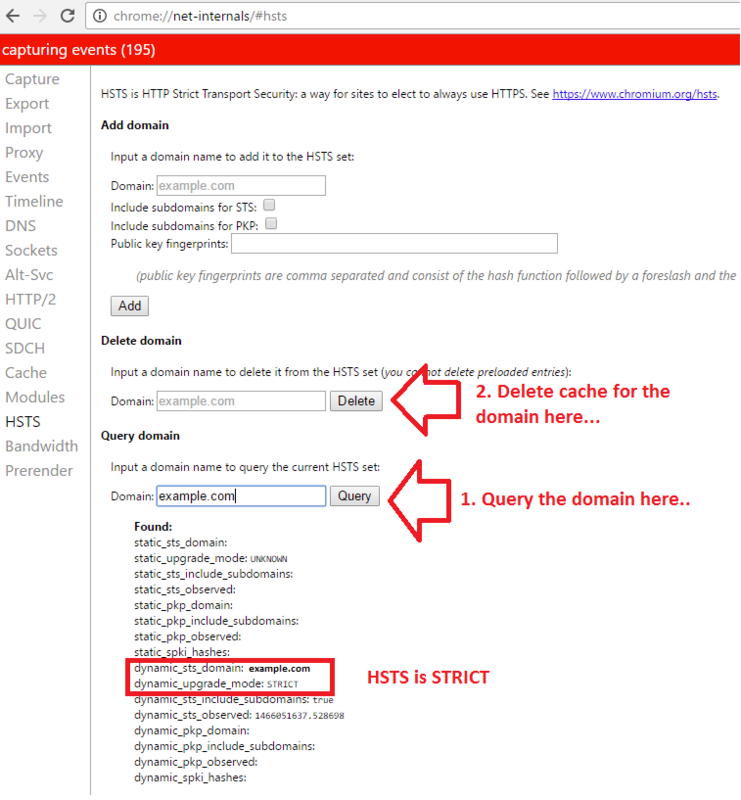 The duration of the HSTS information stored in the cache depends on the server settings. For e.g., if the server enforced HSTS with an expiration time as 6 months, then the data in the user’s browser cache will be valid only for 6 months. It means, the browser expects the website to always enforce HSTS until 6 months. After 6 months, if the browser loads the same website again it will update the cache with the current value. The server will send a HTTP header (without HSTS enforcement) to the user’s browser. The browser reads the cache information related to HSTS and understands that it has HSTS enabled and that contradicts with the HTTP header sent by the web server. Hence, browser thinks “Attacker is trying to pretend to be example.com” and denies the access to the page. And that’s the reason Chrome and Firefox browsers refused to load the website. It means, I have to delete the HSTS information for my domain from the browser cache. Below are the steps to do that in Google Chrome. Step 2: Search domain under “Query domain” and lookout for the information from the cache. Step 3: To clear the cache of a domain, you need to delete the domain under “Delete domain” heading. Step 4: That’s it! You can now load the website to see if it works. Now the browser will obtain new HTTP header information and update its cache. HSTS is a good security feature, but if you decide to disable it for some reason, then you might land up with an issue. Hope it helps someone out there.